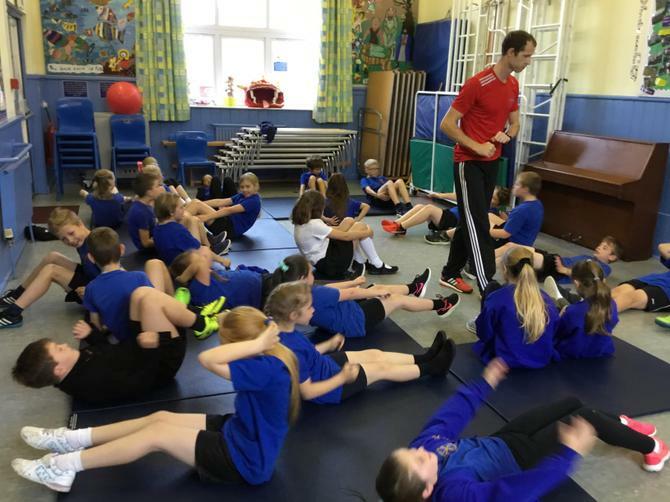 Visit by Olympic Athlete Rhys Williams! 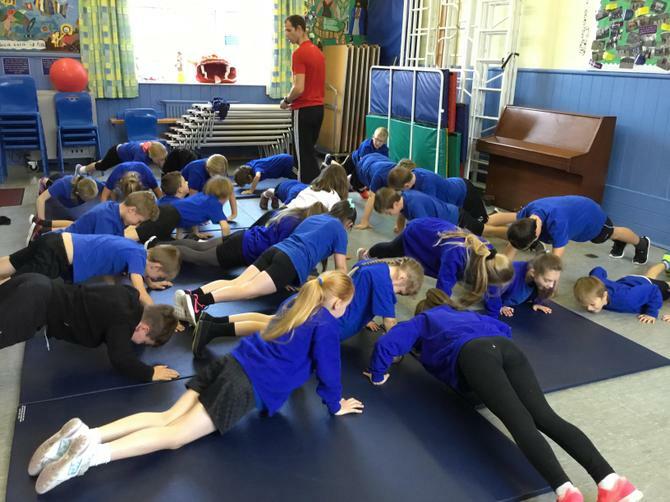 Rhys Williams former Olympic Athlete and Andrew Cronin from 'Parkour' came into visit. 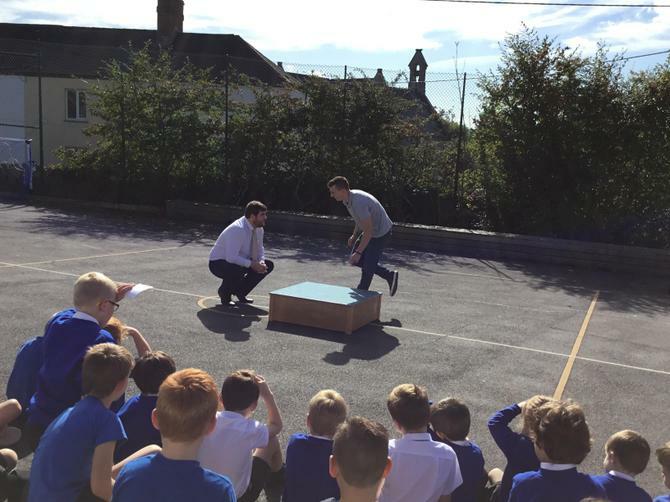 During the day they ran 'fun fitness circuits' which children from all classes took part; children also had their photo taken with Andrew; then before leaving former gymnast and free runner Andrew gave a demonstration on the playground, during which Mr Skinner was encouraged to take part! 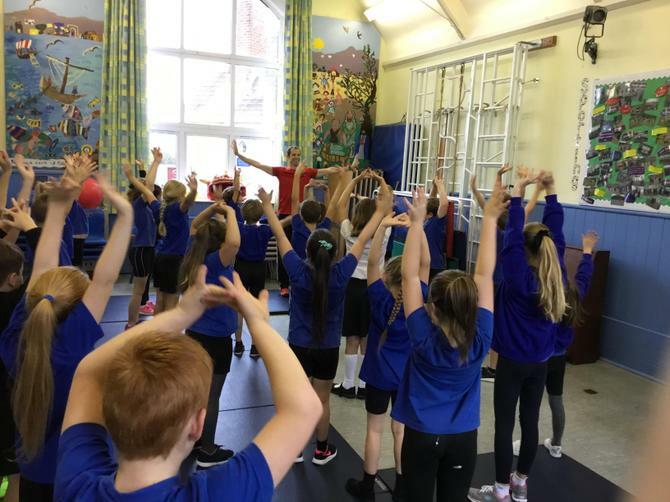 Aspire Sports Academy demonstrates that fitness and sport can be fun and inspirational!.